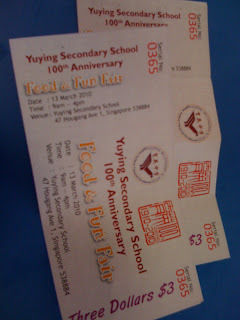 We went to powerpuff gal's secondary school's fun fair . 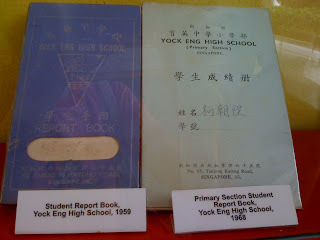 She is in secondary one at Yuying. 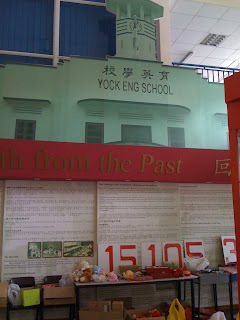 The old Yuying was named Yock Eng School. It's a pity it rained. 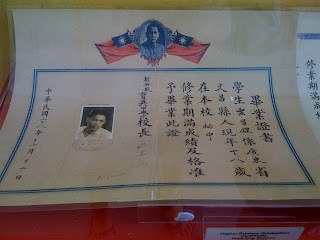 After that we spend some time at City Sqaure Mall. 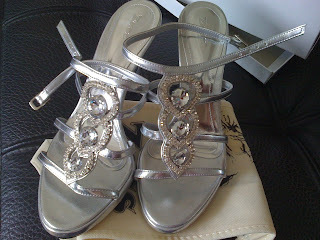 With my two powerpuff gal's help, I bought a pair of silver heels to match my evening gown. Very bling! In the evening, we went to celebrate Emily's birthday :) Took photo with Delia and Daysia. They are so adorable. They want to be my flower girls as well because they want to look like princess. That means I have 6 flower girls and I have to buy 6 dresses for them.